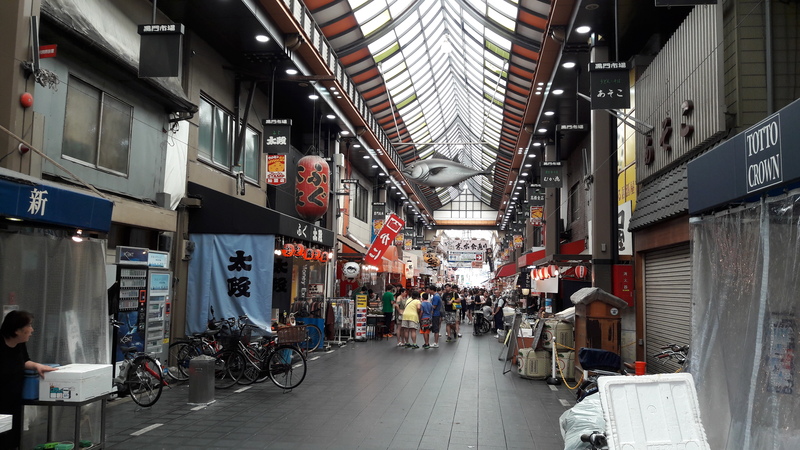 The Kuromon Ichiba market is a place in Osaka near the Nipponbashi station. 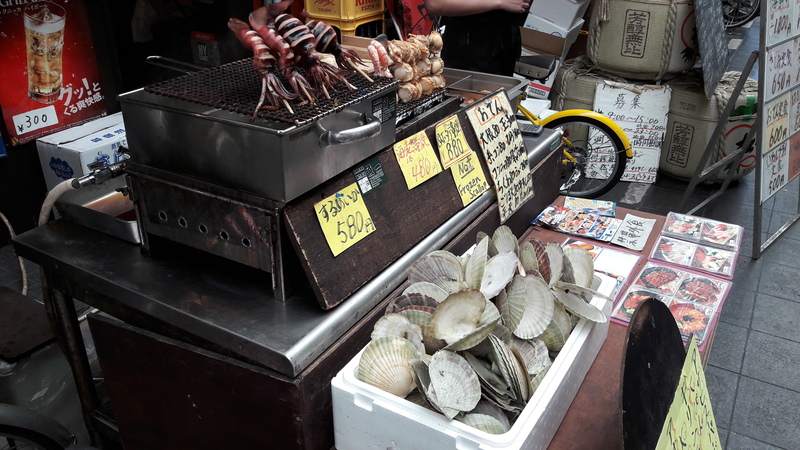 It is basically a big market on a street where you can get endless delicious seafood, as well as other street food. For going to this market you can take any train or subway line that stops at Nipponbashi station. In my case it was the kintetsu line heading for Osaka-Namba. After getting off at the station, it is just a 2 minutes walk to the market. At the beginning it might seem a little small (as you can see on the picture). But if you walk straight and then turn right, you will find the heart of the market. You will find delicious seafood, meat, sweets, smoothies and many other things in this wonderful world of food. There are also some second hand shops but they are not the main part of this place. I realized soon that there are fishes, crabs, seashells and other sea animals that I, as a middle european, have never seen before. 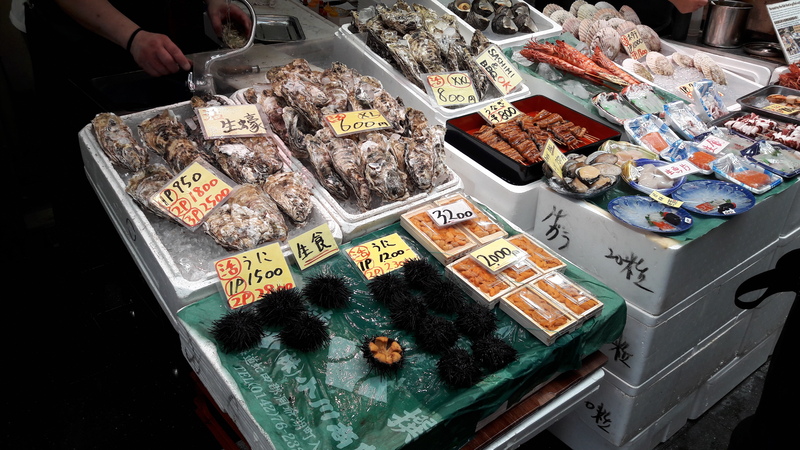 But my advice: if you go to the Kuromon Ichiba market, don't think about the money. The price has its right to be high as the quality of the seafood is excellent! I have never had so juicy, delicious scallops before. The best way of enjoying this market is to go there, buy the things you want to eat and just enjoy it! So as you can see I paid nearly 3000 Yen (~ 30$) for all those things. But as I told you before, you get the highest quality food that you can think about. 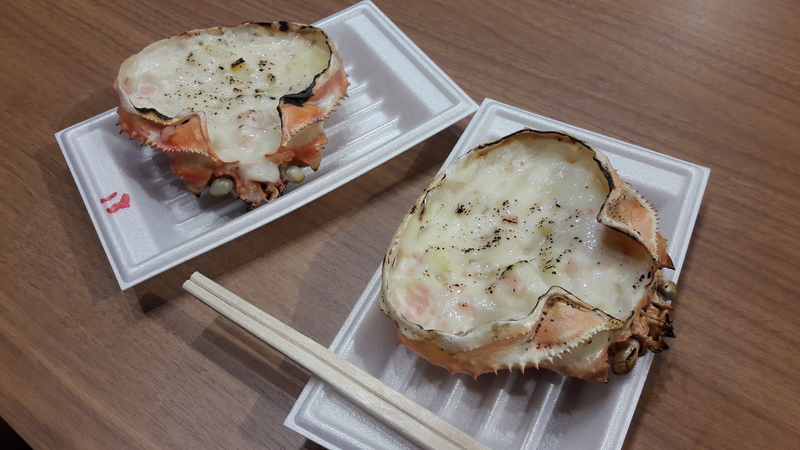 I hope you could learn some things about the Kuromon Ichiba market from my article.